ODOREZE Natural Compost Smell Eliminator Spray: Makes 64 Gal. ODOREZE Natural Compost Smell Eliminator Spray: Makes 64 Gallons to Stop Composting Stench Summary Remove compost odor using the power of nature with Odoreze™ Eco Compost Odor Eliminator Spray: Makes 64 Gallons. 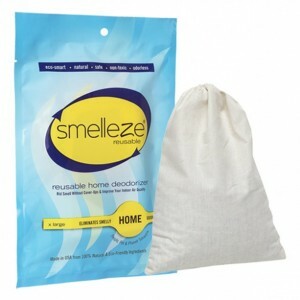 Odoreze™ removes compost smell without harmful chemicals. This bio-based concentrated drain deodorizer makes 64 gallons & really works! Composing odor & composting smell doesn't stand a chance. Features & Benefits • Spray to unleash the deodorizing power of nature • Eliminates composting odors instead of masking them • Bio-based deodorizer made from natural ingredients • No carcinogens, phosphates or harmful chemicals • Biodegradable, non-toxic, environmentally friendly • Use for safe effective composting odor control • Made in USA Say Goodbye To Nasty Compost Odors For Good! If your property features a compost pile, take a moment to congratulate yourself on reducing your carbon footprint and doing the right thing. As much as you might love the extra nutrients compost provides, you probably do not love the odor. That well-known compost smell impairing your ability to enjoy your backyard is not an issue when you use Odoreze™ Natural Compost Odor Control Spray! No matter what type of organic matter the compost pile contains, our amazing spray eradicates any resulting malodor completely. 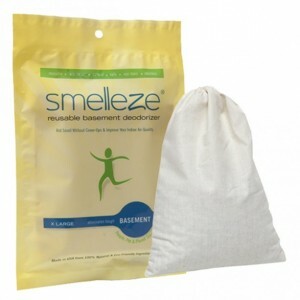 The unique blend of our Odoreze™ all-natural formulation immediately attacks and destroys strong compost odors from ammonia, hydrogen sulfide, and other gases that create nose-numbing stench. This fantastic deodorizer also controls odors for days after spraying by promoting the growth of friendly odor destroying bacteria to produce long lasting results. Furthermore, it helps to provide you with dark, wonderfully nutrient-rich compost for your garden. Our non-toxic spray is easy to use: simply dilute 2-4 teaspoons Odoreze™ super concentrate/gallon water to make your working solution and use it within 1 month for optimal results. Spray the solution on compost piles or widrows to the point of saturation and repeat whenever you turn the piles over. Surfaces should also be sprayed during the curing process. Use the product as often as necessary to eliminate odors. Our all-natural Odoreze™ deodorizer is made from pure plant extracts. It’s completely biodegradable, chemical-free, fragrance-free, non-toxic, and a friend to the environment in addition to being effective on any type of nasty compost smell. Don’t let composting odors impede your backyard fun! Purchase Odoreze™ Natural Compost Odor Control Spray today. It’s eco-friendly, economical, only costs 45 cents/working gallon, and it works!